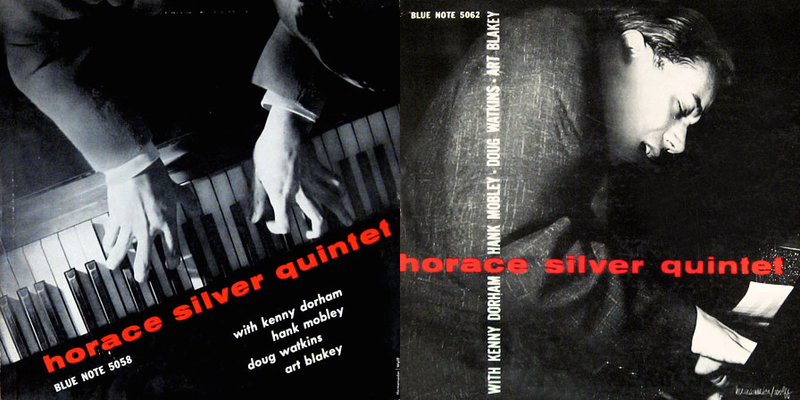 Not only is Horace Silver a favorite jazz composer and musician of mine, this is one of my favorite albums of his. 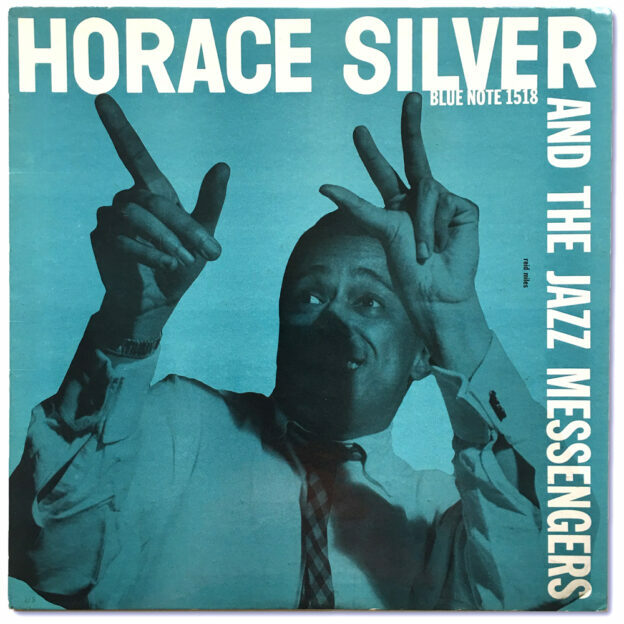 If I had to guess, Silver was given the title of leader on this early Jazz Messengers effort since, unlike the Birdland and Bohemia Messenger LPs of the same era, the majority of the selections here (all but one) were written by Silver, who only penned three of the nine original Birdland tracks and nothing on the original Bohemia LPs. 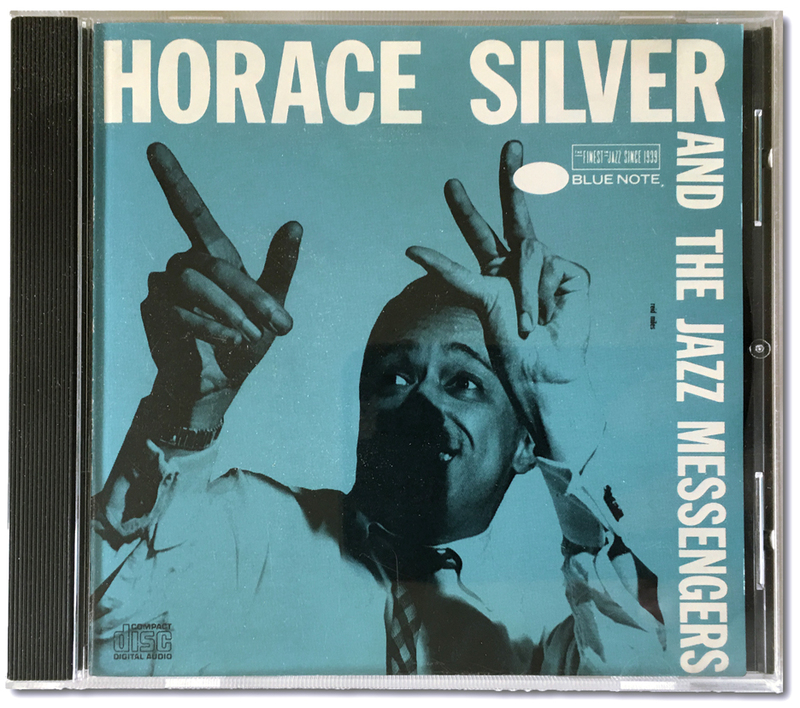 But while many jazz newcomers will, as I did, think of this effort as a single body of work encased in the minimal, baby-blue cover we have all come to know through various reissues (a cover that, by the way, sports a horrible photo of Silver with a shadow covering half his face), these sides actually numbered four in total originally, spanning across two 10″ albums both released in 1955 (BLP 5058 and BLP 5062). In some instances I prefer to own the original 10″ pressings of albums that would later resurface in a 12″ configuration — if I can even find the original 10″ LPs — but for this album, it’s so solid start to finish that I actually prefer the 12″ pressing over the two 10″ “originals”. Why not have all the great music on the 10″ LPs in one place? That’s two less times I need to get up to turn the record over! The sound of this record is characteristic of that coming out of Rudy Van Gelder’s Hackensack home studio in the mid 1950s: clear, warm mono with shimmering cymbals, a slightly metallic sound to the trumpet, and a touch (less than normal) of Van Gelder’s menacing spring reverb. This is actually my second vintage copy of this LP. The first had “NEW YORK 23” on one side and “West 63rd” on the other and was acquired at an outdoor Brooklyn record fair several years ago. I recall making the decision to sell it in part because there was a tinge of distortion on Kenny Dorham’s loudest notes (which actually improved somewhat after a good cleaning) but I also sold it because I decidedly preferred the mastering of the 1987 Capitol-Manhattan CD reissue. Above all, the highest of frequencies, usually dominated by cymbals, sound more “accurate” (detailed and present) on the Manhattan CD and hence, I would assume, on the original master tape. After hearing numerous original Van Gelder LP masters from the years of approximately 1955 to 1957, it’s clear that Van Gelder was making the deliberate and regular choice to dampen the high frequencies a bit when mastering for vinyl. This could have been a precaution against mistracking that the young engineer opted for at the time, which could in theory allow the signal-to-noise ratio-obsessed Van Gelder to achieve even greater volume on his LPs. It could have also been a deliberate aesthetic choice, but we hear Van Gelder leaving more high-frequency detail on his records in 1958. I still prefer the sound of the Manhattan CD, but I’ve come to appreciate Rudy Van Gelder’s earliest LPs as an embodiment of a sonic signature representative of the time they were originally released in. This is a solid program. 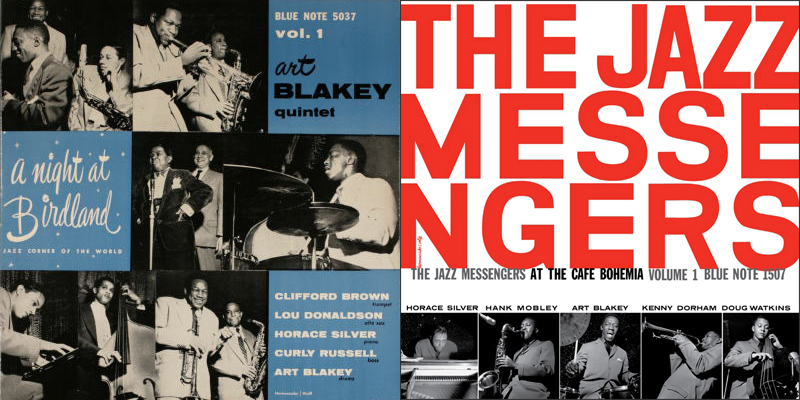 Though there are plenty of uptempo tunes with unorthodox melodies written more in the tradition of hard bop’s immediate ancestor, bebop (“Room 608”, “Stop Time”, “Hippy”), Silver penned a jukebox hit with “The Preacher”. 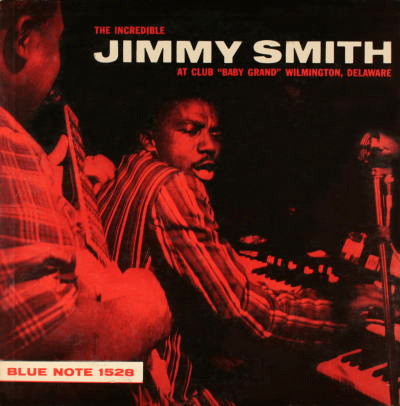 Making its debut here (technically on BLP 5062), its corny, gospel-drenched melody is undeniably fun, though I prefer Jimmy Smith’s humorous demolishing of it on Volume 1 of the Club Baby Grand LPs. But the real jewels of this album are the quieter tunes. “Doodlin'” is the kind of bluesy jazz you might imagine a 1950s sleuth playing on his car’s AM radio while cruising the streets looking for clues. “Creepin’ In” is perfect for a lazy afternoon indoors sipping tea. Mobley and Dorham set the mood here, and they also set the stage for a story-like solo from Silver. Always a clear and spontaneous communicator of his musical ideas, around the twenty-first measure of his solo, Silver begins a descent toward the middle of the keyboard. He then plays with an idea for a couple measures before unearthing a simple yet highly memorable melody that he plays twice before handing things back over to the band. I also dig how often Silver changes things up from the traditional “AABA” bop writing formula, sometimes throwing in an additional “C” section after all the solos, and the “A” section of “To Whom It May Concern” embodies some of the most original writing by Silver on this great album.